Apple’s WWDC 2016 conference is about to start. 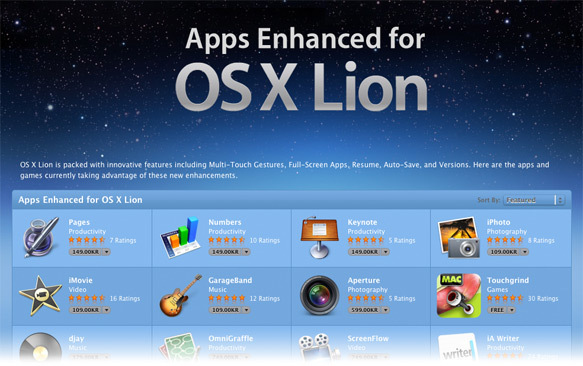 Is it the end of OSX? Rumours are widespread that the venerable old operating system is about to change its name to macOS. Right or wrong, commiserate or celebrate, we thought we’d mark the occasion by giving away free copies of the full-paid version of our OSXClock.app. The offer is already up and live and will continue to be available until WWDC 2016 closes on the 17th. We’ve also just released an update to OSXClock yesterday adding world time zones, so there’s no better time to take advantage of this giveaway. If you are looking for a way to log how long a user (such as yourself!) is spending time in a given app, or to collect data on your pattern of work over time, this little script should do the trick. It will create and keep a running log file (called ‘log.txt’) on your Desktop indicating which apps have been in focus on your machine and for how long each time. This could be ideal if you want to keep track of how long you spend working on a particular project either for billing a client or just for checking your own productivity. Open AppleScript Editor and paste the text below into the Editor window. Click the ‘run’ button. When you’ve had enough click the ‘stop’ button. It would be possible to automate running and stopping this, but I’ll leave that for the comments or maybe a later post. do shell script "echo " & front_app & " was active from " & _start & " until " & _stop & " >> ~/Desktop/log.txt"
On subsequent runs, you can keep the same log (the script will continue to add to the log on each run) or roll it over by renaming the log.txt on the Desktop and saving it off to somewhere else. If you rename or move the log.txt, then the next time you run the script, it will create a fresh log.txt on your Desktop automatically. If autosave is slowing you down, there may be nothing else for it than to switch from your favourite Apple app to an alternative that doesn’t use the feature. Here’s a rundown of some of the main autosave-enabled apps and some possible non-autosave replacements. Skim is a great little free program that is based on Preview but adds some extra functionality, especially useful if you do a lot of annotations and note-taking. All the basic controls are familiar from Preview, including trackpad zooms and rotations. There’s two limitations: it’s pdf only, and it doesn’t have the ability to create hyperlinks. Old standard beloved by many Mac users. Note that the latest version does support autosave, but unlike native Apple apps, gives you the option to turn it off. Available on the app store. 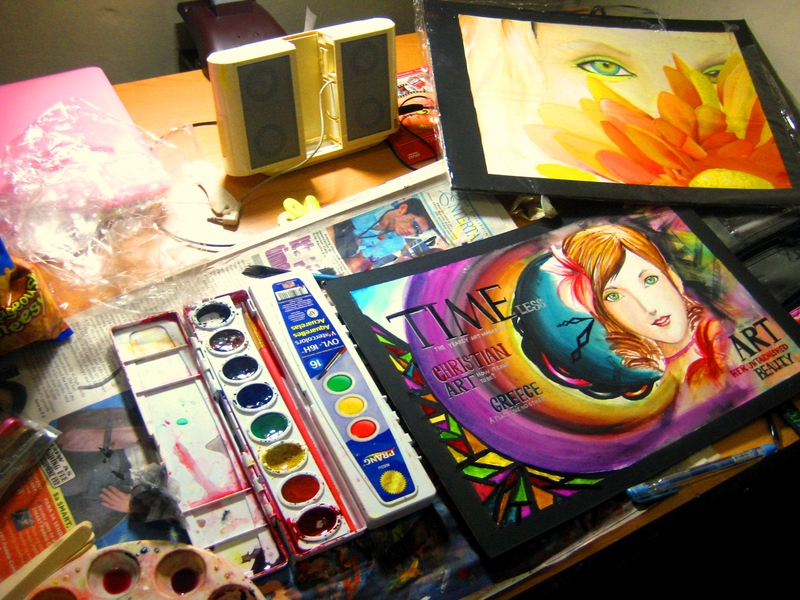 Main drawback: it’s not free (current price about $40). Love this free program, and you can find it in the app store. Does everything TextEdit does and more. If you do any sort of coding, you’ll love Tincta. Everyone should have this! You’re not really going to notice autosave in Terminal if you only use it for the odd command. If you’re doing anything more than that, well, you should be using iTerm2 anyway. Free, powerful, essential. The only real answer to these outside of the MSOffice suite is the free Libreoffice. Well, sometimes it’s just the devil you know. Yes, you can’t really beat MSPowerpoint, but of course that’s a heavy investment. A free option that might be worth giving a try is OpenSong. Tried any of these, or found your own alternative to autosave-apps? Let us know in the Comments below! Mission Control allows you to assign an app to particular desktop, so you can keep your work organised in different screens, and move between tasks with a swipe of the trackpad. The easiest way to assign an app to a desktop is to first run the app so it appears in the Dock. 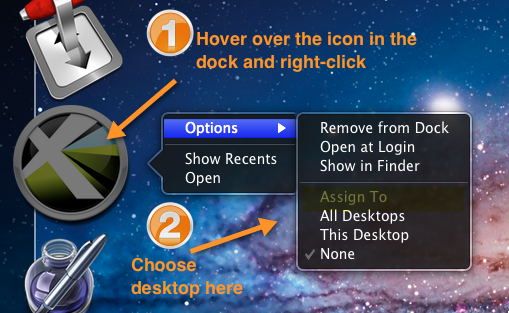 Then, if you’re not already in the desired desktop, change to the desktop that you want the app to always appear in. Next, place the cursor over the icon, and right-click (or two-finger tap if you have this gesture set for the trackpad). Navigate through options and assign the app to ‘This Desktop’. That’s it! Developing apps for iPhone, iPod, iPad, and Mac OS seems like the California gold-rush of the 21st century — the press are full of reports of the riches to be had in this amazing land, stories of “little people” making “big bucks”. Anyone can be an app developer, they say, but what’s the truth behind the hype, and how do you actually learn how to do it? Last I heard, there were currently something like 600,000 apps on the Apple App store (for iPhone/iPad) and some 100,000 or so on the App store for Mac OS. Apple have paid out (i.e., passed on customer payments after taking their 30% cut) literally billions of dollars to developers. That’s a lot of cash! The question is, can you get a slice of it too? In theory, there’s no reason why not. As I’ll detail below, the route to becoming an app developer is not particularly hard, nor is it particularly costly. But that doesn’t guarantee success. Anyone can write a book, but writing a killer book that’ll sell like Harry Potter is not so easy, and writing a killer app that will sell like Angry Birds is every bit as difficult. The analogy holds for success in both cases: you need a great idea, you need to execute it well, and you need to market it properly. Did I mention those 600,000 apps on the App store? How, exactly, are you going to make your fortune if your app is buried in a pile like that? Well, I’ll save ideas and marketing for a future post. In this one, I want to focus on the things that we know we can achieve and only have to depend on ourselves for: developing the skills needed to turn that great idea into an actual piece of software that will run on Apple machines. If you want to write a killer novel, the first thing you have to do is learn the language that you want to write the novel in, be it French, Chinese, or English. If you want to write a killer app, the same goes. Visual Basic? Visual C++? Java? Yes, that kind of thing except…if you’re developing for iOS (the iPhone/iPad operating system) or Mac OS (Mac computer operating system) you have to learn the Apple language, not any of those common ones associated with lesser machines! So what is the Apple language? 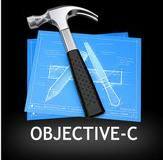 It’s called ‘Objective-C’, and it runs in a programming environment called ‘Cocoa’. You’ll need to learn ‘Cocoa’, but in order to learn that you’ll need to learn ‘Objective-C’, and to learn that, you’ll need to learn the basics of the standard (Ansi) C programming language. Oh my! I know it sounds disheartening, but there is some good news. After all, it can’t be that hard if so many other people are doing it, right? (Well, actually, yeah it can, there’s a lot of dedicated programming geeks out there!). But look, I’ve been down this road too, and while I haven’t produced any killer apps (still waiting for that great idea…), I have gone from knowing next to nothing about programming to being able to put together an application that does what I tell it to and doesn’t crash my system. (OK, not entirely true that I didn’t know anything about programming: in the 1980s, I once learned how to get a monochrome computer screen to print “Hello World” in BBC BASIC, which basically involved nothing other than typing >Print “Hello World”; it seemed so ridiculously pointless in 1982 that it turned me off programming for the next thirty years! Other than that, I’m a newbie 🙂 ). And the good news gets better: most all of the documentation you need to learn how to be an app developer is available free from Apple. Truly, and I mean this with no trace of irony, it is hugely generous of Apple to put the amount of free material they have online for anyone to use. Want to be a Windows developer? Find your local bookstore and start shelling out one heck of a lot of $$$!! The cynical, of course, will say that Apple only do the giveaway to benefit themselves; others might say that giving away free training justifies their 30% cut. I think of it as a symbiotic relationship: would-be developers who aren’t in computer science departments or big companies could never afford to buy all the material. Likewise, Apple could never have built an App store with such a huge number and wide variety of programs to Wow! their users if they had only had universities and commercial software developers to rely on. This way, both the little people, that’s me (and — I’m assuming — you), and Apple get to win. I’ll tell you how to get started in a minute, but before I do let me point out that the ride is not entirely free. There’s probably a point at the beginning and certainly one at the end where you will need to lay out some of your hard-earned. So let’s deal with that now. Right off, you’re going to need a Mac computer. Sorry, if you don’t already have one, you’re going to have to buy one; a low-range Macbook Air or Mac Mini will do, anything that can run OS X Lion. You can’t develop Mac apps on your iPhone or iPad, I’m afraid (but it does work the other way too: you don’t need an iPad or iPhone to develop apps for these devices. More on this below). And what about if you have a good-spec PC? Yes, you could get a Mac emulator (VMmare) or mess around with OSx86, but frankly, these options are likely to cause you more grief than they’re worth; you could end up with apps that don’t build properly, and/or which breach Apple’s licensing conditions. I’m not saying don’t do it, that’s your choice; I am saying your chances of successfully building an app, making it stable, and getting it accepted into the App store by Apple are significantly reduced if you go that route. Given the price of a basic Mac Mini on Ebay, you could well end up spending more money (as well as time) trying to avoid buying a Mac than just buying a cheap one. The other expense you might need to lay out for is a basic ‘Intro to C’ book. There’s plenty of web offerings, but really a good ‘idiots’ book like the Dummies or Absolute Beginners should be enough and has the benefit of being reasonably likely to get you to the level of proficiency you need in the shortest amount of time. After that, you learn the rest for free (Objective-C, Cocoa, Xcode) from Apple. At the end of the process, when your app is built and you want to submit your app to the App store, you’ll have to register with Apple for a licence as an app developer and vendor; current cost $99. “Sign me up”, you say, “where do I start?” The first thing to do is to sign up to Apple’s developer community: this is free (don’t confuse it with the Developer Program or Licensing, which costs $99 and which you don’t need till you’ve built an app you want to upload to the App store). Once you’re in the Developer Community, download Xcode 4, Apple’s development environment (a different thing from a programming environment, but don’t worry, you’ll get the hang of all this terminology easily enough once you start reading the docs). This is a 4GB monster of a program – bigger than your average operating system, so make sure you have the space – and it is also free. Xcode comes with free iPhone and iPad simulators and in itself, this is a piece of software that’s probably worth a couple of thousand dollars. So smile: you’re already making a profit even though you bought that Mac Mini! This is also the reason why you don’t need, and in fact can’t use, your own iPad or iPhone to test your apps: everything has to be done in Xcode, and this monster app only runs on Mac OS X. Once you’ve downloaded Xcode, you can play around with it if you want, but unless you’ve worked with an IDE (integrated development environment) before, it’s pretty complicated, so it’s best to wait till you work through the tutorials. It’s not the kind of software you can learn through serendipitous exploration. Instead, go to the documentation resources and start with the tutorial Your First Mac Application. By the time you get through this, you’re going to realise why you need to learn Ansi C, Objective-C and Cocoa. So put Xcode away for now, and start on the path of learning to speak Apple’s language. When you get there, just add 1 great idea + 1 great marketing strategy, and you’re on your way to California! 7. Watch the millions role in and retire. hello, applescript: what’s the use? SIP’s soft underbelly – a hiding place for malware? Advanced Mac Cleaner strikes again!